Mousetalgia visits Storybrooke this week as Jeff goes to RegalCon, a convention for fans of ABC’s “Once Upon a Time.” We compare this convention with other Disney fan cons, discuss the seminars and offerings, and hear “Once” celebrities Lee Arenberg, Gil McKinney and Beverly Elliott talk about what the fandom means to each of them personally. 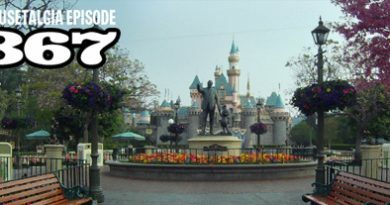 Then, Team Mousetalgia reports from Disneyland’s Tinker Bell Half Marathon weekend, and we discuss the kids’ races and the runDisney Expo and hear from Tinker Bell animation reference model Margaret Kerry in person. 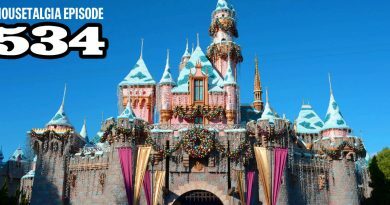 Finally, we talk about some recent dining experiences at Disneyland, including the recently re-opened Smokejumpers Grill, breakfast and dinner at Disneyland Hotel’s Steakhouse 55 (and we ask if bad service negates good food? ), and a closer look at the special effects inside of Club 33’s Le Salon Nouveau. Plus – Disneyland’s 60th anniversary begins!